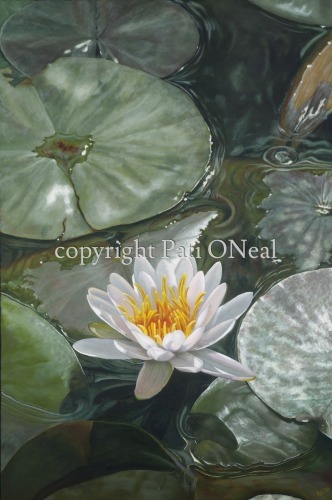 A single white water lily transcends above a calm pond. Original oil on canvas is sold, contact artist for a similar commission. Limited edition giclées and matted mini-prints also available.